Do you feel like changing your home’s flooring to tiles? 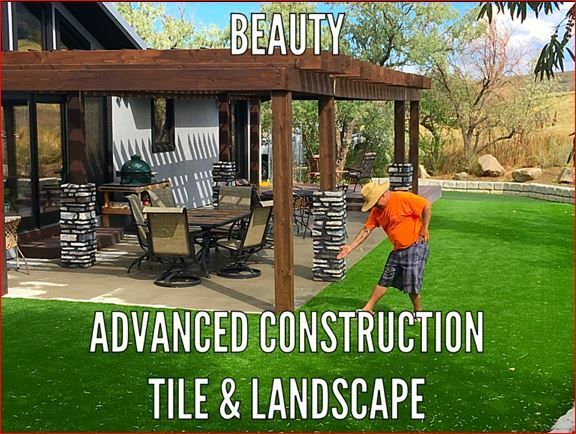 Luckily, Advanced Construction Tile and Landscape provides tile flooring so you don’t have to deal with wood, carpet, or other materials! A tile flooring gives a smoother appearance to your house, whether that’s in the kitchen, bathrooms, or other areas. The styles can range from simple square tiles to complex patterns and mosaics. We work with your creative ideas to produce beautiful results. Your home deserves all the attention it can get because it’s a reflection of your personality and style! Winter blizzards bring with them a beautiful blanket of white snow, however, maneuvering through that snow on your way to work is anything less than magical. Fortunately for you, our staff of dedicated professionals is more than capable of digging a clear path to freedom. Don’t pull your back out shoveling snow, instead, give us a call! With our years of experience in the industry it is no surprise that we have since become a leader in construction services. Next time you feel trapped by a blanket or wall of snow, call on Advanced Construction Tile and Landscaping Services where there is no job too big or too small!